So you need a custom contact form for you Contact US page? Thinking of hiring a designer? Or paying some one else to do it. Or the worst of all are you using third party contact form providers . What if I’ll tell you that I will give you 7 rock solid plugins for making your own custom contact form . 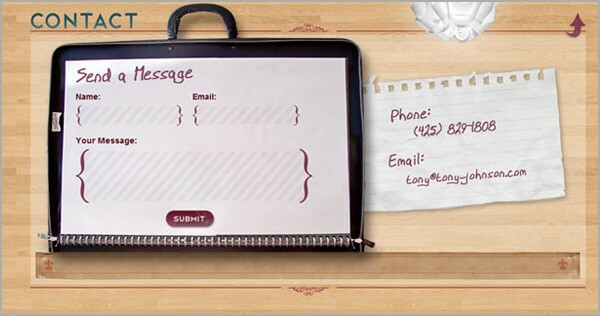 Here are the top 7 plugins that can help you to make your custom contact form. They are really great and you’re going to love them. Continue reading to check them. I’d be doing this great plugin injustice by not mentioning it on this list. To avoid that, I am mentioning it first in this post. Gravity Forms is not just another Contact Form plugin. I will call this plugin as Awesomeness redefined . This plugin has many paid and free add on’s. It is compatible with Aweber, Mailchimp etc. So before you think again, head straight to their page. The Contact Form Manager is a very, very, very cool plugin. It has been downloaded over 55,000 times. Now that’s a whoppin’ number. Most of the ratings are star ratings too. It permits you to create different forms and embed them where ever you want using Short Code . This plugin can also send an auto reply for you addressing to the user. It also has in built spam protection . This plugin is one of the best Contact form plugins . Visual Form Builder is built in such a way that it is damn easy and quick to make forms this way. The user which means that you do not need to touch any PHP, CSS or HTML code. You can add forms in a single click and re order fields using the drag and drop feature. This plugin also comes with a Smart Anti-spam protection. It can also give confirmation messages which you can customize . You also have the ability to manage them from the WordPress dashboard You can use the same kind of form on multiple pages and posts . It can also be used in Custom Post types and Custom fields . Contact Form 7 can manage multiple contact forms, plus you can customize the form and the mail contents flexibly with simple markup. The form supports Ajax-powered submitting, CAPTCHA, Akismet spam filtering and so on. It is simple and can be managed straight from the dashboard. You can set custom success messages as well as redirect users to a new page . Yeah! I presented the best Contact Form Plugins in front of you . Do you know any other plugins that is great? Come on send me your comments. I really do read every comment. I agree those are solid! Gravity and Contact Form 7 were my 2 faves but in my opinion now, the best all-in-one contact form solution is at WP Plugin Pros. Their newly launched Page Designer Pro is just what I need. Not paid to say so I just really love its simplicity and great features. You might want to include it next time. Check it out here if you want. Thank you for sharing. We will look into this and write something up.